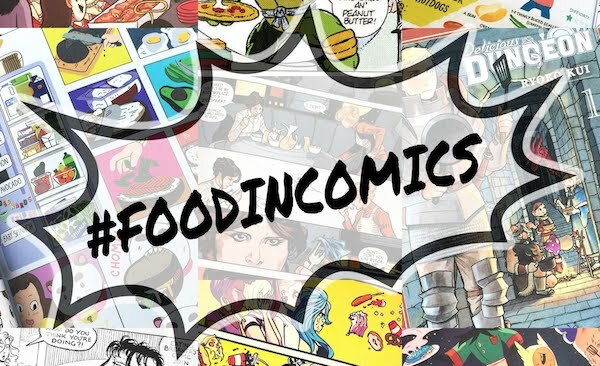 Fiction-Food Café: Pro-Bending Popcorn for "The Legend of Korra"
Pro-Bending Popcorn for "The Legend of Korra"
1. Make each seasoned popcorn one at a time (cleaning your bowls after each use). Empty one bag of fully popped popcorn into a large bowl with a lid, pour the oil or honey on top of the popcorn, & then secure the lid on the bowl & shake it until the popcorn is evenly coated. In a small bowl mix the dry ingredients (except in the case of the Air Nomad popcorn) & then sprinkle the seasonings over the popcorn. Put the lid on the bowl once again & shake until the popcorn is well coated with the seasonings. Now they're all done except for the Air Nomad popcorn! 2. 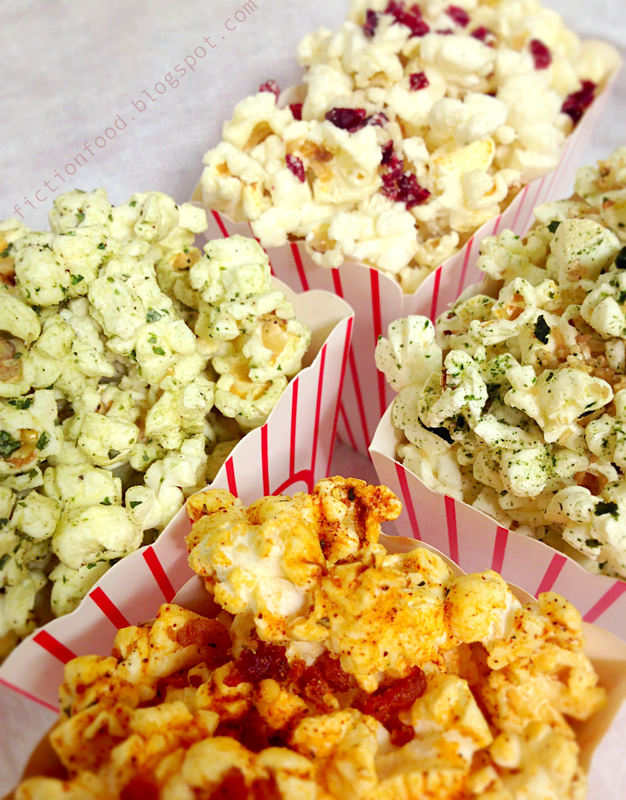 Preheat your oven to 250ºF & spread the Air Nomad popcorn in a single layer on a large baking tray. Slide it into the oven on the middle rack & bake for about 15 minutes or until light & crispy. Serve the Pro-bending popcorn in separate bowls or in individual serving popcorn boxes or bags (the ones I used were near the popcorn in my local grocery store). 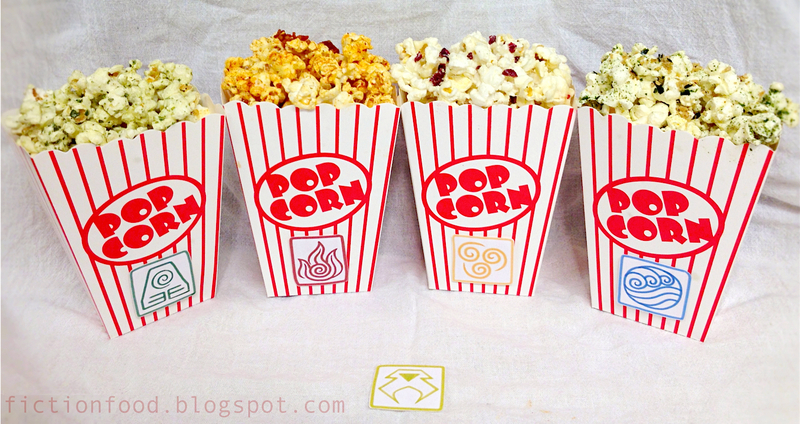 Sprinkle the bacon bits over the Fire Nation popcorn & the crasins over the Air Nomad popcorn. As a real treat, conceal an electrified glove in each container! These have inspired me to create my own versions! Haven't gotten very far, yet (spices in rural grocery stores tend to be a bit lacking) but my version of Firebender popcorn includes garlic salt, curry powder, chili powder, and paprika. Smoked paprika, I think, would give it more of that fiery, smoky flavor, but it's pretty good as-is!